Please click on the “check the price list” button for shipping pricing for your state. These are the current cost for shipment of a pallet one way. If there is a core involved remember to double to cost of shipping. As there will be two shipments, one for delivery and one for the core return. 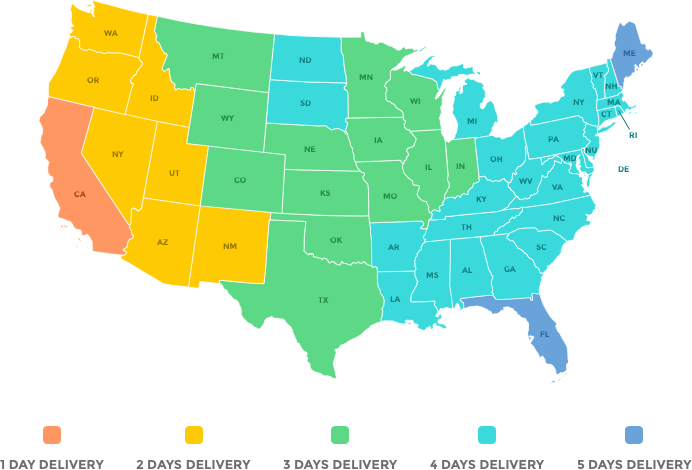 We provide a free local delivery service for the greater San Francisco Bay Area in California. Please contact us at (800) 903-4430 to see if you are in our free delivery area. All shipments are shipped through third party carriers. We ship through UPS Freight and FEDEX Freight. Tracking numbers are provided for all shipments and we will be able to provide precise tracking information for all orders. Please contact us at (800) 903-4430 and we will be able to provide you with your tracking number. Please click the corresponding shipping company image below and enter your tracking number to track your order. The estimated shipping times are in business days only (Monday through Friday) and cannot be delivered during the weekends or holidays. Please remember these shipping times are estimates given to us by the freight companies. They are estimates and can sometimes take a little extra time depending on weather and road conditions. The freight company will normally deliver during business hours 9:00am to 5:00pm. All orders placed before 3:00pm pacific time will ship out the same day as long as the item is in stock. Residential deliveries will cost an additional $80.00. This fee will include a lift gate service and the trucking company will contact you prior to delivery to schedule an appointment. Lift gate service can be added to any shipment for an additional $40.00. For Hawaii, Alaska, or any other shipping estimates please contact us directly by phone for a shipping quote.